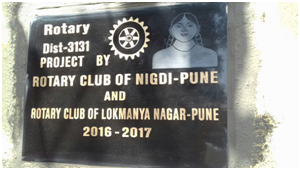 Project Description –Cheque of Rs. 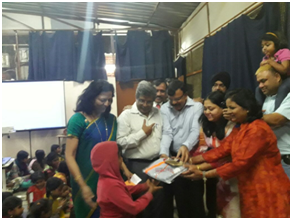 15,000- was given for meals to Gurukulam Orphanage School, Chinchwad. 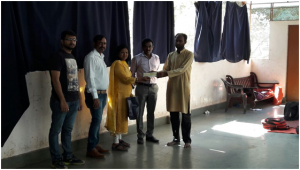 Project Description –Our Club gave the cheque of Rs. 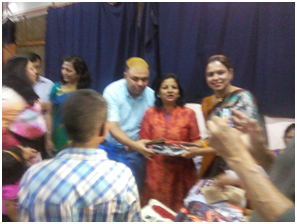 45000- for Providing food to Kinara Old Age Home, Balagram Orphanage ( Akurdi),. 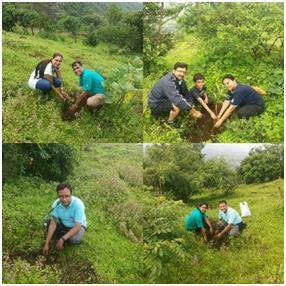 Project Description - 300 plants were planted on Ghorwadimountain. 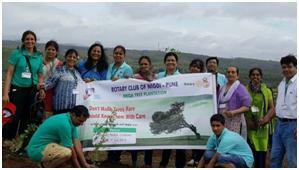 There were about 35 members of our Club who participated in the project. 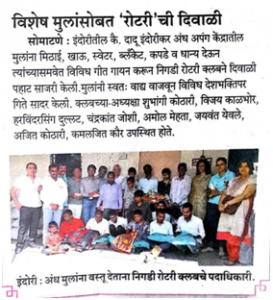 Beneficiaries - Over generations, millions of the population would be benefitted. 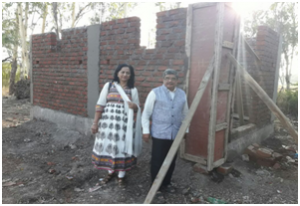 Project Description –A Mega Fund Raising Event. 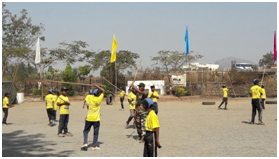 It is also Public Image Sports event. 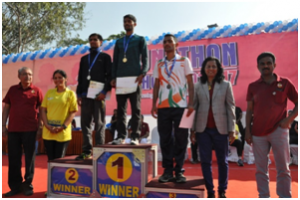 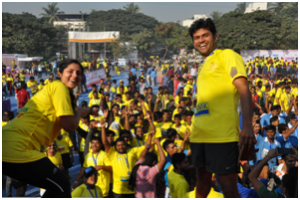 Runathon of Hope is a Half Marathon recognised as State Level Event, by the Maharashtra Athletic Association. 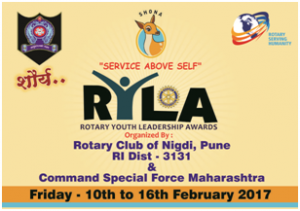 This is the seventh consecutive year that R.C Nigdi has organized this event. 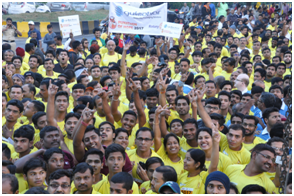 The event is the biggest of its kind in this area, attracting participation from schools & Industries, with a footfall of 10,000 participants and many spectators. 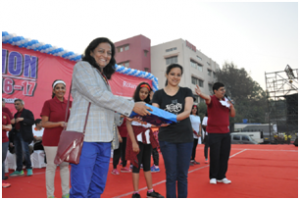 The event has participation of not just athletes but also of CEO, Chairmen, Directors, etc. 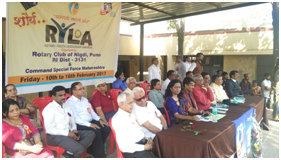 of companies. 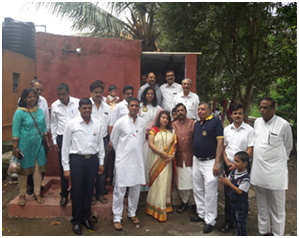 Reputed corporate houses participate. 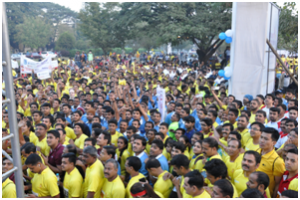 This year 3500 corporates participated. 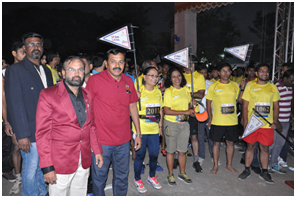 Runathon of Hope is the main vehicle for generation of funds for RC Nigdi. 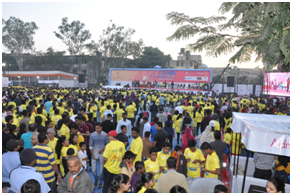 Organizations sponsoring the event get publicity and participation in the event, while the sponsorship money, after expenditure of the event is used for Community Service Projects. 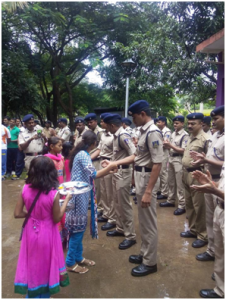 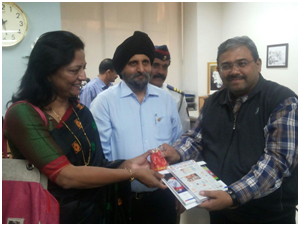 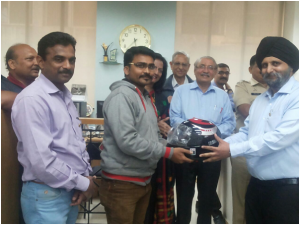 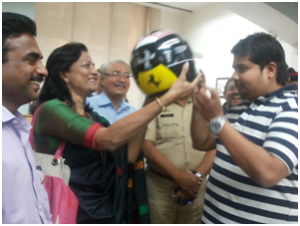 Project Description –Club distributed 110 helmets to Nigdi Traffic Police. 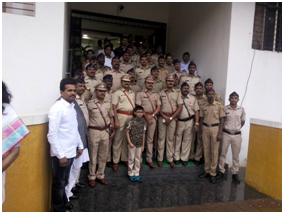 Senior police personnel and media persons were present. 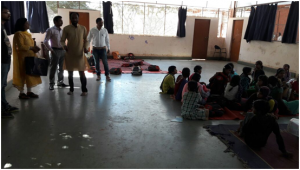 Project Description –Since the world is celebrating AIDS week, a SUnday was spent with HIV infected children at Sparsh AIDS orphanage, Dapodi, Pune. 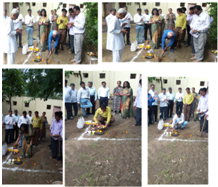 We played games, distributed gifts and loads of happiness. 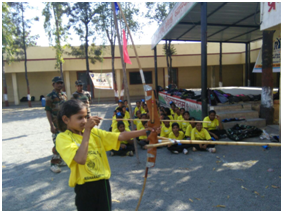 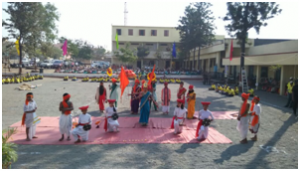 Children showed their hidden talent like dancing, singing, etc. 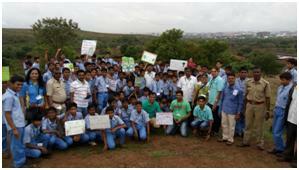 These children have great ambitions in life...some wanted to be doctors, teachers, pilots, engineers, collectors, etc. 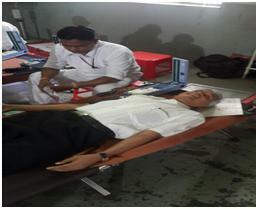 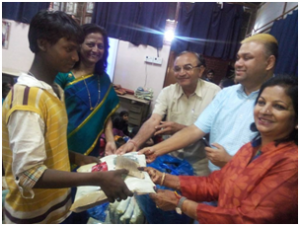 Our club handed them their required medicine and ration of one month. 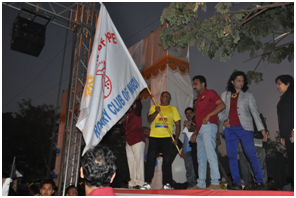 Today's event was memorable and has changed our outlook towards life..... 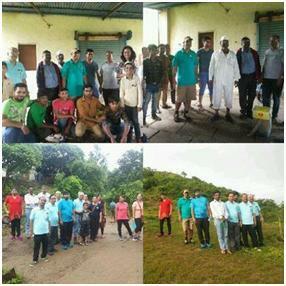 Feeling blessed to get a chance of service to humanity. 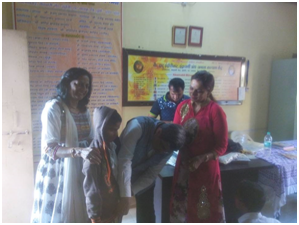 Beneficiaries –25 HIV infected children. 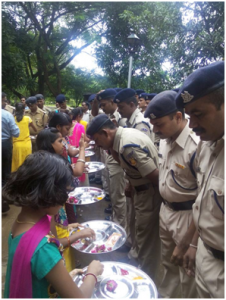 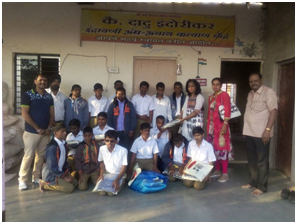 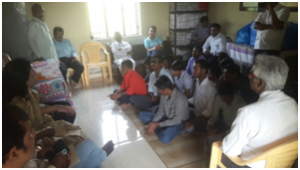 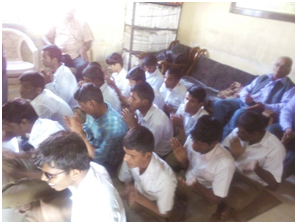 Project Description –Celebration of Deepawali with Visually Challenged children(दिव्यांग)at Indori... SadanaIndurikar Blind/ orphanage.Students age group from 10 yrs to 26 yrs, one of them preparing for LLB, one completed SangeetVisharad, some of them would like to appear for MPSC and till now 73 students have completed their education and earning their livelihood. 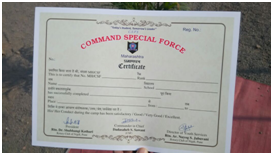 It was unique and memorable experience . 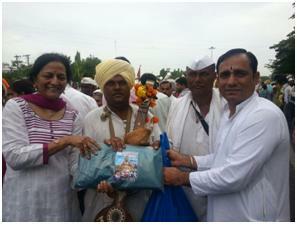 Club distributed Diwali sweets, Dryfruit packet, pair of clothes, Sweaters, Blankets, footwear & grocery for six months. 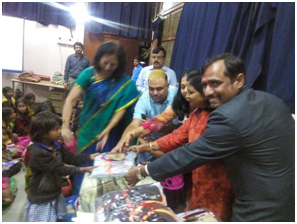 Project Description –We distributed 110 winter jackets to the children of Gurukulam School. 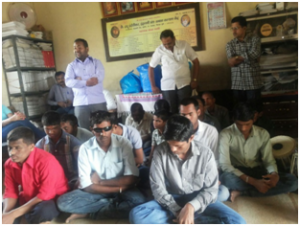 Project Description –We distributed winter jackets to Blind and Orphanage children of DaduIndoorikarAnaathShala, Induri. 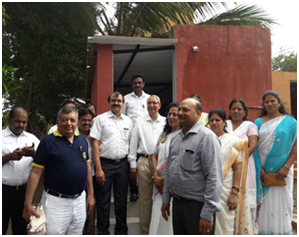 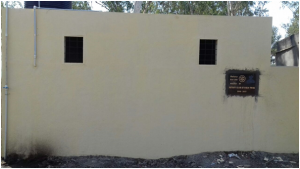 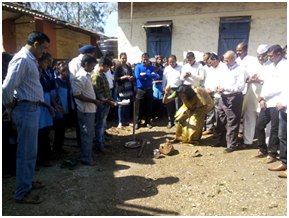 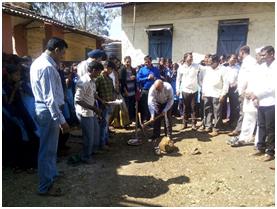 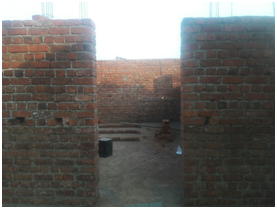 Project Description –27 Toilets and Wash Basins to Adivasi School Wadeshwar, Maval. 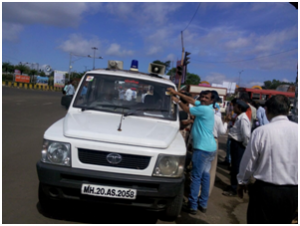 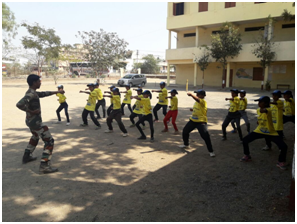 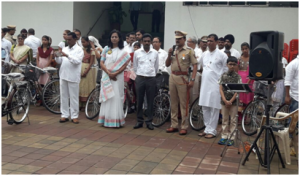 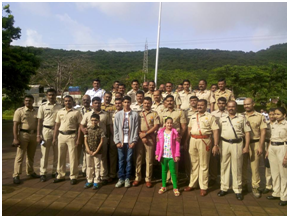 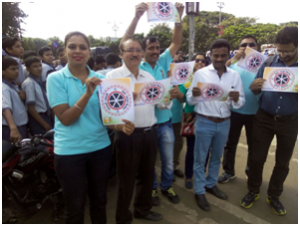 Project Description –On 6th October our club participated in Traffic awareness program organized by PCMC traffic department. 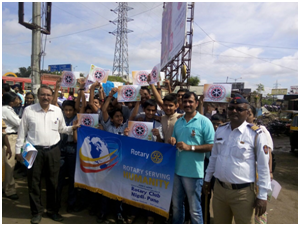 School children, Rotaractors and Interactors along with Rotarians, Anns and Annets made a “Human Chain”. 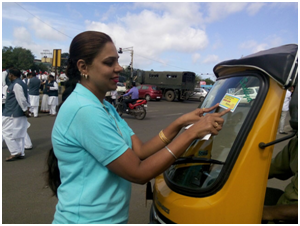 Stickers and Pamphlets were distributed in the public to make people aware of traffic rules. 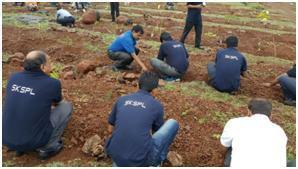 Project Description - Maharashtra State Govt had announced a massive Tree Plantation of 2 crore saplings. 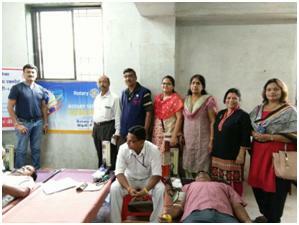 Our District 3131 was also one of the major participants. 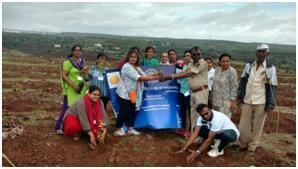 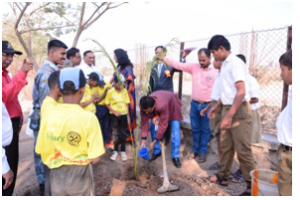 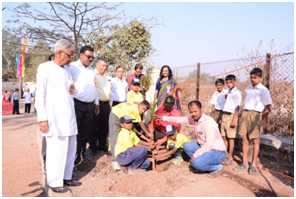 Along with the Forest Department of Chimbli, Chakan, Pune a total number of 6000 saplings were planted. 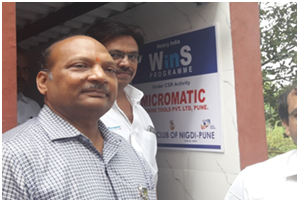 Interact Club of Raja Shiv Chatrapati school, Talawade, Inner Wheel Club of Nigdi Pride, Inner Wheel Club of NigdiGenX, Enpro Engineers, SKSPL Company, Meher Techno and CMRS Association joined our club in this project. 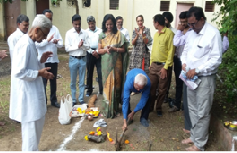 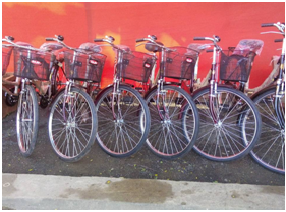 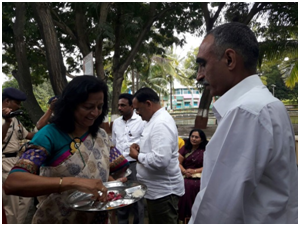 Project Description –Every year during the months of June – July TheWarkaries make a visit from Pune to Pandharpur by road, walking encountering heavy rains. 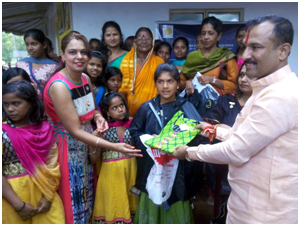 This year our Club planned to equip them with Raincoats. 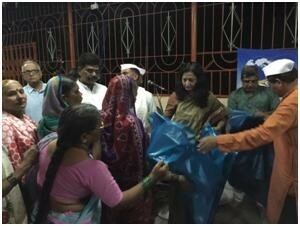 500 Raincoats were distributed on 28th June and 7000 Raincoats were distributed on 29th June. 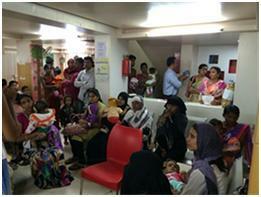 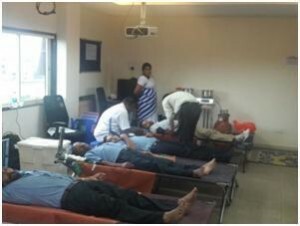 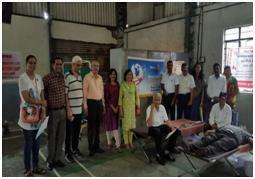 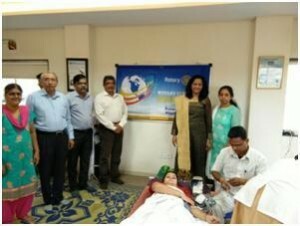 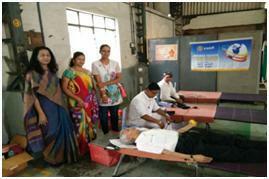 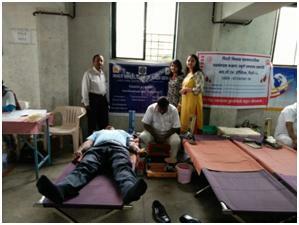 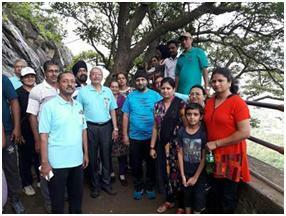 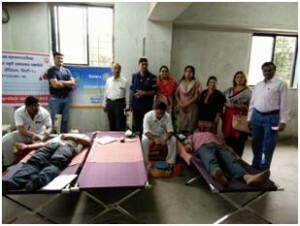 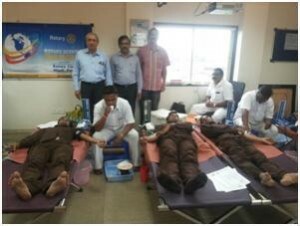 Inner Wheel Club of Nigdi and PCMC KamgarSanghatna joined our Club for this Humanitarian project. 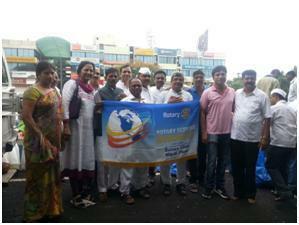 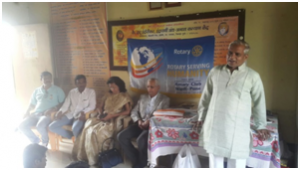 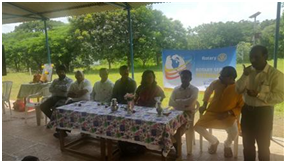 Project Description - Under RILM (Rotary India Literacy Mission) following projects were undertaken. 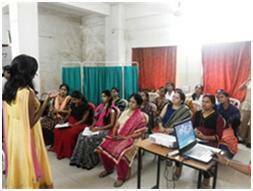 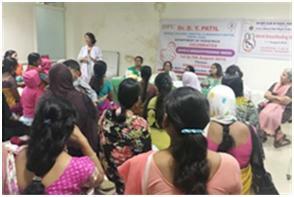 1) TEACHER'S TRAINING SEMINARS on 20th August and 15th October. 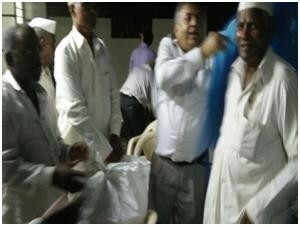 Explanation on 4M i.e. 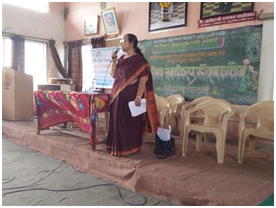 Mediator, Motivator, Mentor & Roll Model.Behavior with students, classroom etiquettes.How to be updated regarding advanced technology.How to understand student’s psychology and support them accordingly. 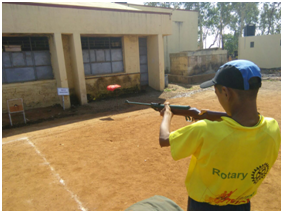 How to differentiate students difficulties & problems. 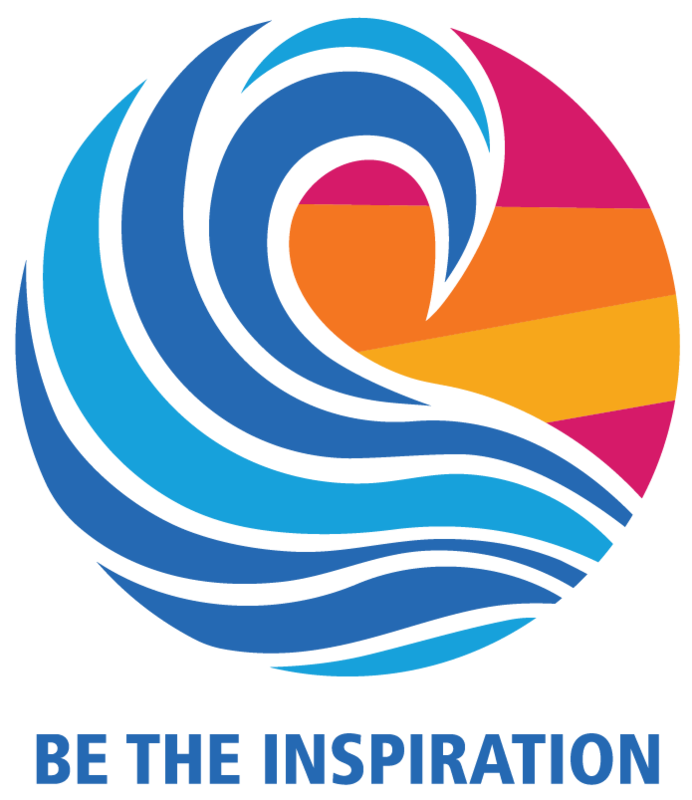 How to synthesize between intelligent & poor students. 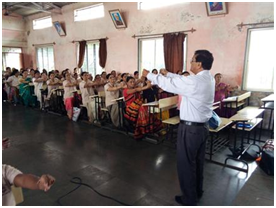 Teacher’s psychology during various behavioralpattern of students and how teachers should react in these situations. 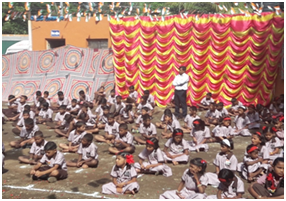 200 Teachers were benefitted. 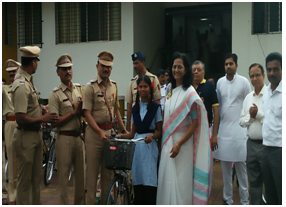 2) FELICITATION OF TEACHERS on 16th September. 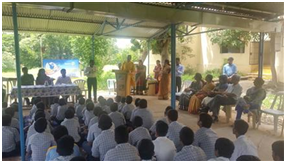 35 Teachers were felicitated. 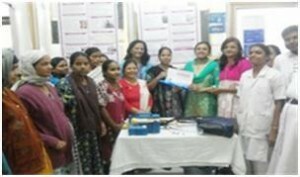 3) NATION BUILDER AWARD 2016 - 17. 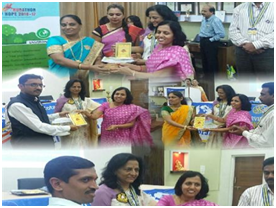 35 Teachers were felicitated. 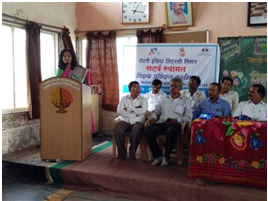 Beneficiaries –75 Teachers were benefitted. 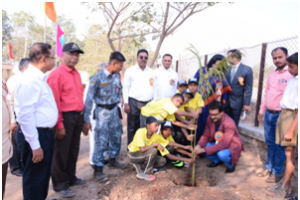 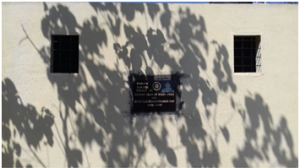 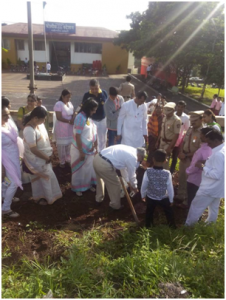 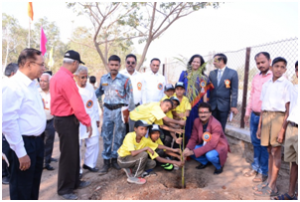 Project Description –25 sapplings were planted in the premises of Pragati Vidya Mandir School, Induri. 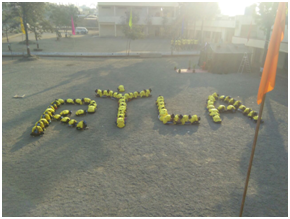 District Youth Director Rtn. 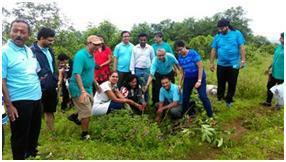 Sheetal Shah graced the plantation programme.